Happy Lunar New Year! 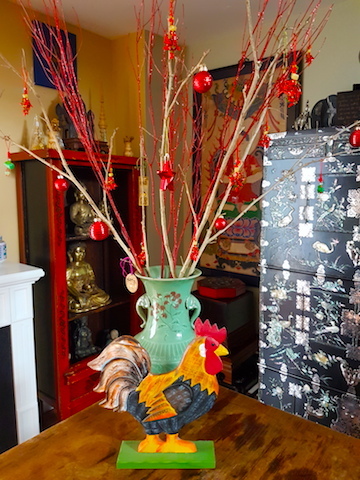 May the Year of the Rooster be a healthy and prosperous one for all, not just those born in a Rooster year. I myself am a Dog. 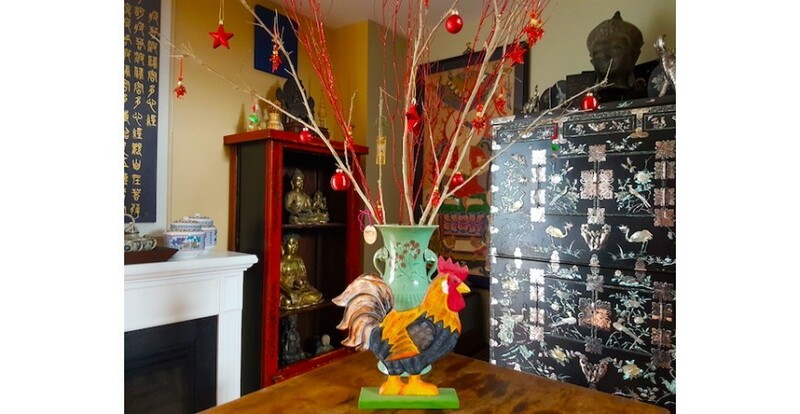 Blending Chinese, Korean, and Western elements, I've created an 'arrangement' in the Lotus & Persimmon gallery to celebrate the beginning of the year. 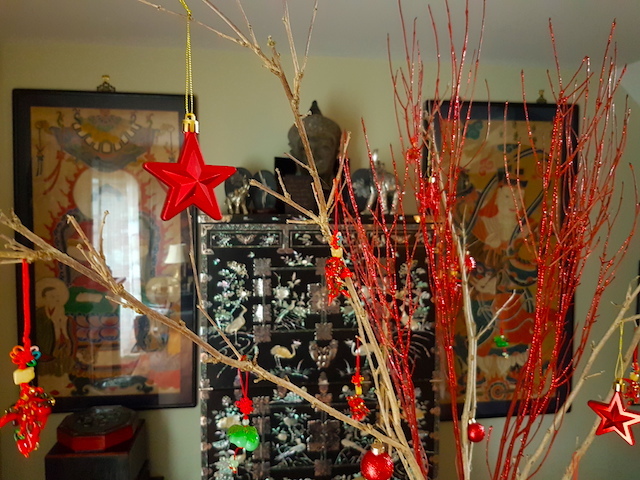 If you look carefully, you'll see some Christmas tree ornaments, which I've mixed in with some chili pepper pendants that I picked up in Bangkok last year -- more on that later -- as well as some Korean items, not to mention a very Canadian wooden rooster that my parents brought back from a trip to the Maritimes many years ago. You notice that I talk about the 'Lunar' New Year. That's because as a former resident of Korea, Thailand, and Vietnam, I'm very conscious that this holiday is not exclusively Chinese even though its origins are in ancient China. Honourable mention: Thailand, where the Lunar New Year is not a national holiday, but nonetheless a public holiday in several southern provinces. Lanterns at Wat Mangkon Kamalawat in Yaowarat, Bangkok's Chinatown. We should also mention Cambodia, Laos, and Myanmar, all of which have significant Chinese minorities. In practice, many Chinese-owned businesses in these countries will close for one or more days while their owners celebrate. This also happens in Thailand. Then, of course, there are the diasporas from all of the above-mentioned places to other parts of the world. I myself am off to Toronto for the Lunar New Year weekend to see what I can see. Stay tuned for posts here on the blog, on the L&P Facebook page, and in the L&P gallery on Instagram. 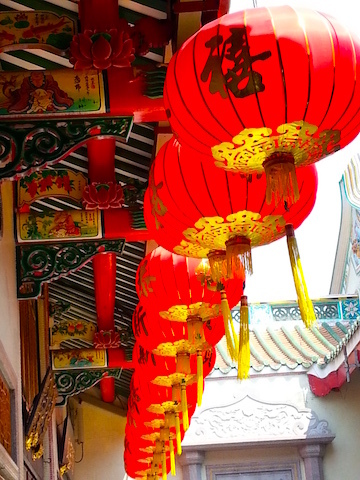 Next week on the blog: Reminiscences of the 2016 Lunar New Year week in Bangkok. Please check back to read all about it! Agog at the Aga Khan Museum.